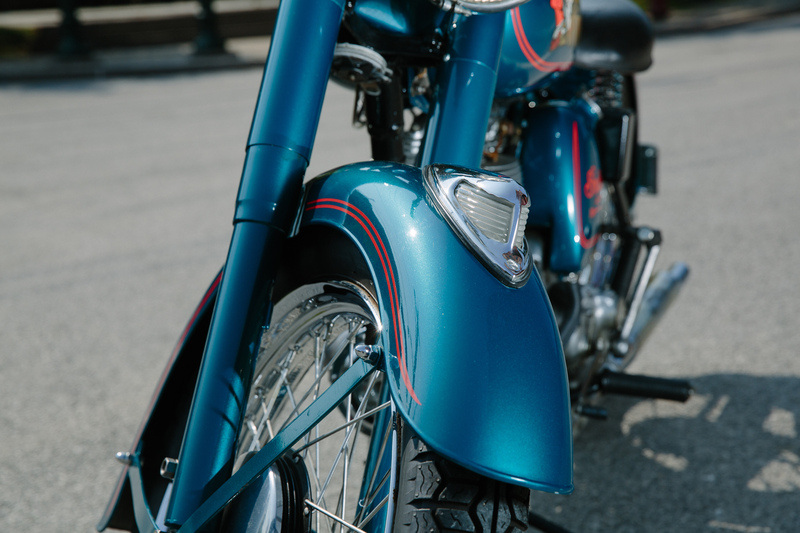 For most, the Indian Arrow is a forgotten motorcycle due to modern bikes plethora of power, features, and technology. But where did it all start? 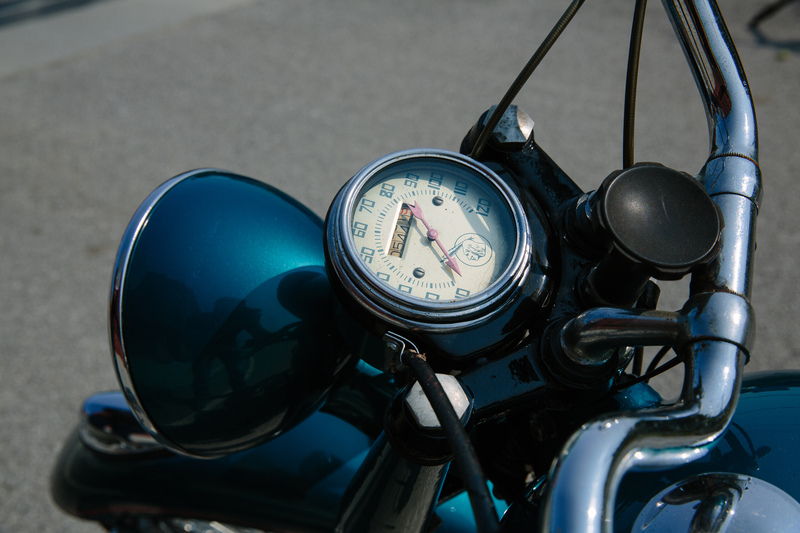 What made motorcycles so popular? 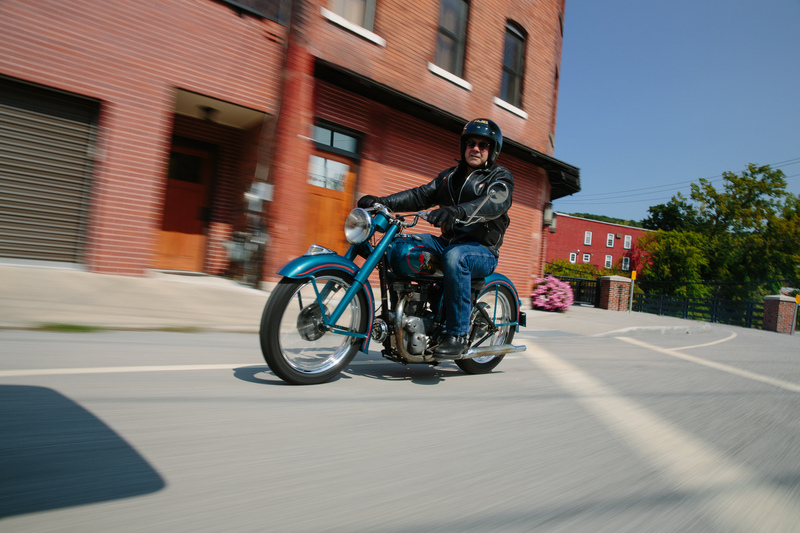 I found out by riding John Brojakowski’s 1949 Indian Arrow among the now century old buildings of Little Falls. The year was 1949. It had been four years since the end of the war, but he remembers every battle. He remembers every grenade, gunshot, bomb, and every lost friend. He remembers his fear, pain, sadness, anger, and hate. He remembers storming the beaches of Normandy, fighting the Germans during the battle of the Bulge, and storming Iwo Jima. These memories make his muscles go tense, his hands shake, and tears form in his eyes. Out of desperation he wails out and kicks as hard as he can hoping, praying, for serenity even for a second from this mental anguish we now call PTSD. His Indian Arrow roars to life and he sits down on its wobbly springer seat. Still overcome with pain, he musters up his strength to take his left foot and clunk his way into first gear. As the sun falls over the booming industrial city of Little Falls, with it, sets the pain that he feels in his heart and bones. This is the story that this old bike told me. The story of thousands of returning soldiers who took to motorcycle riding and clubs to cope with these effects. 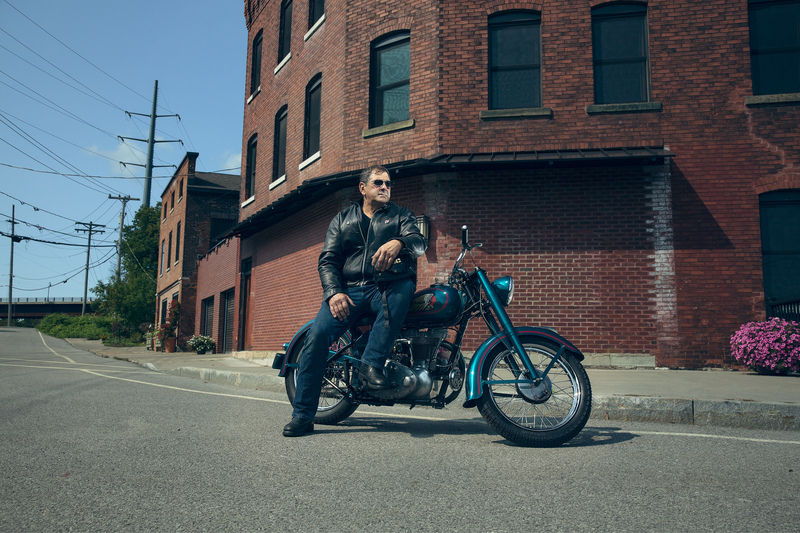 For better or worse, these men are the reason motorcycles are as popular as they are today. The Arrow’s story doesn’t end there though, in fact it is only just the beginning. 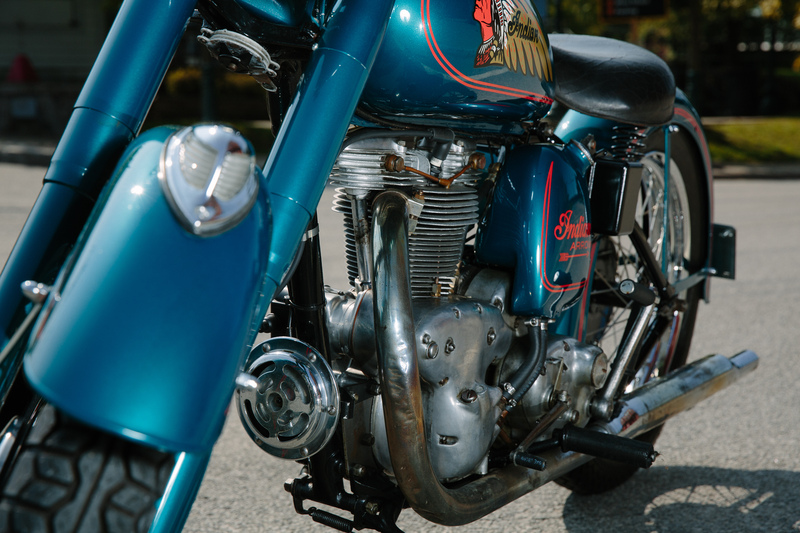 The world largely forgot about Indian Motorcycles until their recent resurgence a few years ago. But in the early 1970’s, John’s brother Dan Brojakowski hadn’t. 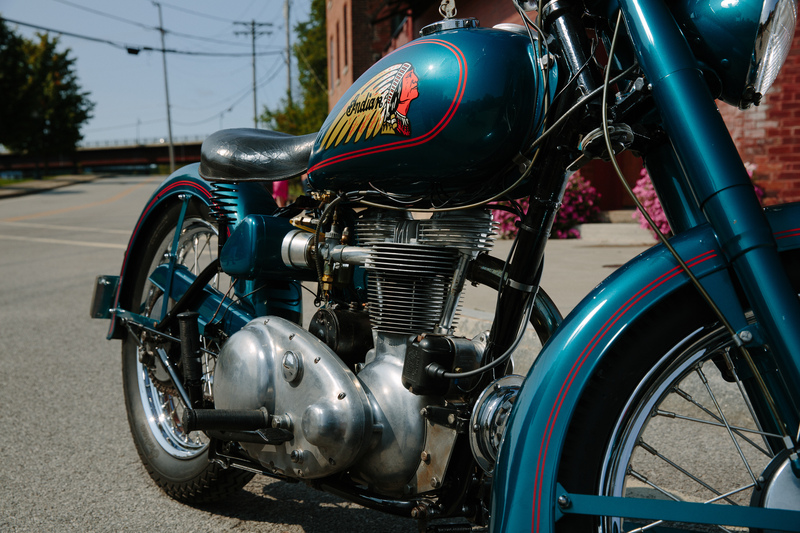 Fresh out of college, he decided to buy this 1949 Indian from an Amsterdam, NY fireman who worked with their dad. The only problem was that it didn’t really look like a motorcycle. Like any good restoration project, the bike was purchased in many, many pieces. Most people would see scrap metal if gazing upon the pile of parts, but Dan didn’t. He saw the history hidden behind layers of rust and dirt, and maybe even that troubled WWII soldier I saw when I was riding the bike. On the worn-out paint of the fire engine red gas tank were the letters A.F.D., Amsterdam Fire Department. This bike wasn’t just any old Indian. Back in its prime, it was used to lead many parades and fire department activities in Amsterdam. 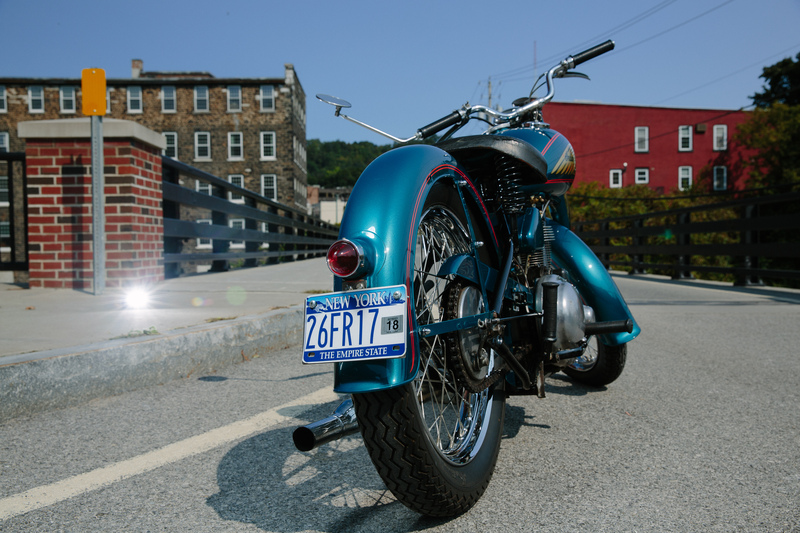 Although the names of the first and possibly second owners are lost to history, it is believed that the bike was bought at Brownies​ in Troy, NY, one of the only Indian dealers around in 1949. It is believed that it was sold roughly three years later to a man named Bill Armstrong, the fireman Dan purchased it from, for fifty bucks! So where does John come into this? Despite their father insisting Dan “get going on the restoration”, he quickly realized it would be years until he had the time. Because of this, he signed the registration, handed it to his dad and said, “Here, you do it.” The restoration then became a project for John, his dad, and his second brother Blaise. 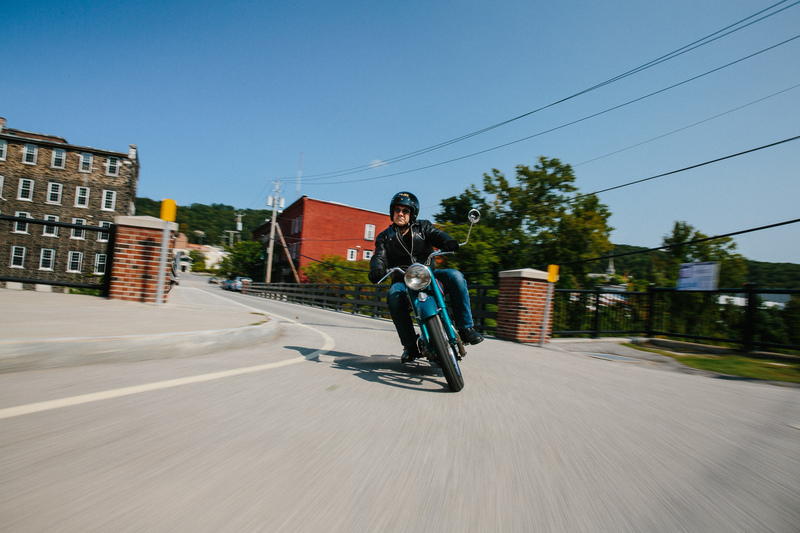 After years of tinkering in the basement, John, Blaise, and his father managed to piece the bike back together and make it into what it is today. After the bike was finished though, due to their busy lives and not having anything else to fix on it, it sat in the basement collecting dust for many years. As a result, they decided to sell it to an Indian collector from the Boston area, Bill Quinn. He owned the bike for many years until one day he got a call from John saying “I need my bike back.” After some tough negotiation, John picked up the bike and brought it back home. So the story ends there right? Well, not exactly. The reason John needed the bike back so bad was because his father was dying. He had Alzheimer’s and got to the point that he didn’t even remember John’s name. 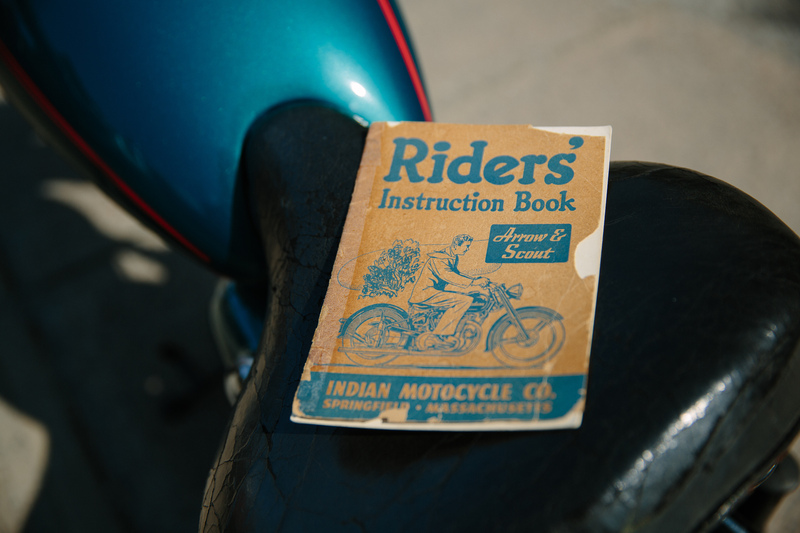 The task of sorting his father’s possessions unearthed a VHS tape labeled “1949 Indian”. John had forgotten that during the restoration, the family had taken turns filming the process and no one had viewed the tape – until now. John was reduced to tears and vowed that before his dad passed he wanted him to see the bike that they built one more time. To sit on it, to enjoy it…just one more time. It was many years since his father last saw the bike. Would he remember it? Would his dad be healthy enough to see it? John didn’t let these concerns stop him. The Indian Arrow is a fairly small bike, about the size of a Honda Rebel. Rather than attempting to get his father outside, he came up with a better idea. As he rolled the bike to the front desk of the nursing home he simply asked, “Am I going to get in trouble for this?” The front desk worker said, “I deal with screaming kids, pets, and angry people all day. That bike is the least of my worries.” With that, John rolled it into the elevator, onto the 3rd floor Alzheimer’s wing of the hospital, and into his father’s room. One last time his father saw the bike, sat on it, and even remembered it! Today, the bike sits comfortably in John’s garage where it can be enjoyed by his family, friends, and everyone who sees it on the occasional neighborhood spin around the block. Thanks to guys like John, his dad and his brothers Dan and Blaise, bikes like his Arrow will be telling their unique histories for years to come.